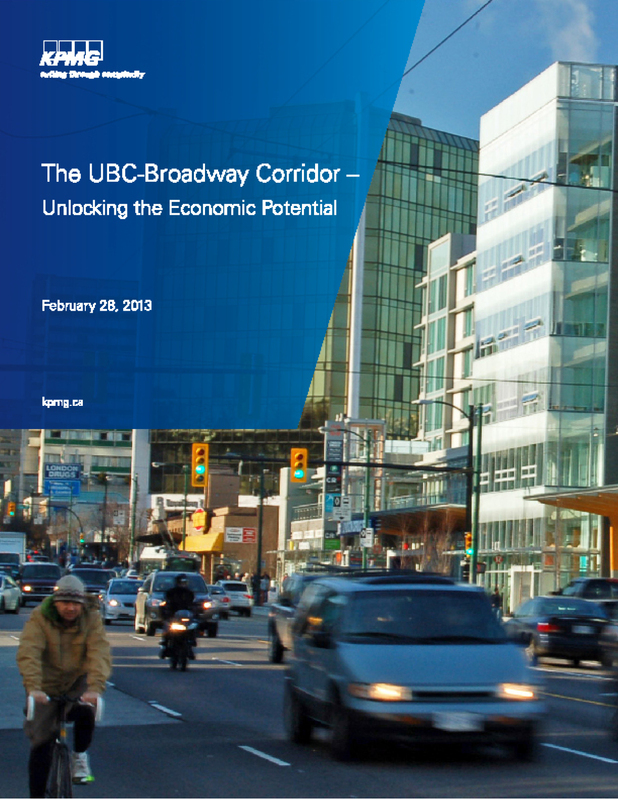 In association with KPMG, MMK Consulting analyzed economic activity and transportation trends in the Broadway Corridor, as a basis for assessing the future economic development and transit needs of the area. The study, completed for the City of Vancouver and the University of British Columbia, assessed the requirements for the Corridor to deliver its economic development potential. On behalf of the TransLink Commission, MMK Consulting reviewed the 2014 Base Plan submitted by TransLink, the primary provider of transit services in Metro Vancouver. This review compared the 2013 approved plan with the proposed 2014 Base Plan – addressing issues such as changes in transportation services, revenue and expenditure projections, impacts of major operating changes (e.g. Compass Card, fare gates, Evergreen Line), as well as the outlook for TransLink's financial solvency (ability to maintain its reserve levels and stay within its borrowing limits). For more information, the Commissioner's report is available here. On behalf of the TransLink Commission, MMK Consulting analyzed TransLink’s 2012 Base Plan and 2012 Supplemental Plan for the provision of transit services in Metro Vancouver. MMK reviewed and critiqued the key assumptions underlying the two plans, and assisted the Commission in developing and reporting its findings to the Metro Vancouver Mayors’ Council. On behalf of TransLink, MMK Consulting evaluated the impacts of cost escalation, between 2004 and 2007, on the capital costs of six technology and alignment options for TransLink’s proposed Evergreen Line. The review involved a comparison of the construction cost escalation trends underlying the initial comparison of options, compared to those that actually occurred. MMK Consulting has undertaken a number of studies for different clients analyzing the trends and outlook for construction cost escalation in British Columbia during the province's post-2000 construction boom. MMK Consulting performed a preliminary evaluation of the proposed Gateway Program to expand Greater Vancouver’s road capacity. The study developed a template for performing a Multiple Account Evaluation (MAE) of the Program, and included a preliminary assessment based on early information. On behalf of the BC Ferry Commission, MMK Consulting analyzed BC Ferries’ service proposal for 2012/13 through 2015/16. This project included a comprehensive review of BC Ferries’ past and projected financial performance, its capital expenditure programs, and its basis for calculating price caps on customer fares as required by regulation. For the BC Ferry Commission, MMK Consulting reviewed a proposed major vessel replacement program by BC Ferries. The objective of the review, required under statute, was to determine whether the proposed capital expenditure was reasonably required. For more information, the Commissioner's report is posted here. A study of marine terminal development options for a major shipping company. Analysis of financial implications for proposed port infrastructure development projects. A toll-based funding analysis for a proposed major capital program covering more than 400 kilometers of an interprovincial highway. Financial and economic impact assessment of unscheduled interruptions in bridge services due to design and weather-related considerations. Multiple account evaluation studies related to various major highway infrastructure and bridge construction projects in Metro Vancouver.